Mankind has accumulated a lot of knowledge and lately, in connection with the development of technology, the amount of knowledge is growing steadily. At the same time, old knowledge becomes obsolete, and it is obvious that we must do some compression—packaging that knowledge. This implies the existence of the category of value of the knowledge. Humanity evolves in stages, and each time, with the advent of a new era, this criterion looks different. However, it’s hard not to notice that behind the change of decorum (for example the etiquette of the royal court in the modern corridors of power) there remains an essential component, which is practically not subject to change. And that essential part can be expressed quite efficiently. The essence is the same. These problems manifest themselves most acutely in the human realm. There have been insights in this area. One of those brilliant insights is that game is a method of compression. Game in principle is based on a limited number of roles, which allow a large number of different scenarios to unfold. It’s necessary to make explicit the roles in such a way that together they express the Whole. In this way, the principle of wholeness is contained in the game. In the field of this activity, obviously, there stands out Kabbalah as the system that has at its disposal a variety of means of packing and unpacking knowledge, as well the criteria of its value. Let’s recall the words: “The tools of Kabbalah, in order to be transmitted to future generations, had to be preserved. This was entrusted to profane people as well to Initiates in the form of the 78 cards of the Taro deck.” It was coded in such a way that an imperceptible understanding of the meaning of this system of knowledge, its arithmetic representation, verbal form, graphics, as well as a poker game at the kitchen table are all different levels of understanding one and the same thing. 78 – 56 – 22 – the three numeric combinations contained in the deck are closely related, and are quite different but are “talking” about one thing. 56 + 22 = 78. That is, the integrity of this type (78) is composed of two differently quantized and differently semanticized parts. 56 expresses the systemic view of the world from the perspective of its quantitative and qualitative diversity. 56 consists of four times repeated the great name חוחי (iod, heh, vav, heh) and also four times repeated decimal system of sefiroth . Simply put, 56 answers any question from the category of “by what laws is everything arranged?” 22 is the semantic-graphic listing of all possible archetypes. They are interconnected, interdependent and mutually conditioned. Their connecting element is man. This is a symbolic representation of man’s path with all its possible forks on the road. Here we are talking about the way to express knowledge. But the way to organize knowing can be hinted at by poker. These are hands (card combinations). By making hands of the 78 cards, the game scenario is set, or the way of life is organized, which, incidentally, is the same. May Kabbalah forgive us such simplification. One embarked on the path and captured by the high magic of numbers, sooner or later comes across the question: why 56? Why is the number 4 at the foundation of this principle? Why 22? There are 22 letters in the Hebrew alphabet. And why are there 22 letters in the alphabet? And so on… Let’s set aside for a while the relationship between numbers and letters (although many of the brightest minds devoted their lives to this endeavor). We hope that this could be a topic of the next conversation. For now, let’s turn to arithmetic. Arithmetic deals with the quantitative-qualitative composition of numbers (i.e. their roles) and answers all questions by reasoning. The Creator “prepared” for us a field of knowledge by dividing the Origin and thus revealing it. We, his children, cognize the divided through the work of the soul, reunite the parts, and return them back to the Origin. The path is quite thorny, the images are tangled, and the hints are clarified almost at the brink of oblivion. Arithmetic reasoning offers us a language, whose clarity is comparable only to the grace of the Father. So, any whole can be described most minimally by dividing it into two components. Since there are only two of them they are maximally dissimilar (in order to include in themselves the totality of the whole). They are so dissimilar that the question arises: do they know of each other? Can they meet? Let’s call these two zero and one. Their graphics speak for itself. The extreme tension of their differences necessitates to somehow weaken or to decipher this integrity. A numerical sequence appears: 3, 4, 5 and so on up to ten. It doesn’t go immediately to ten. It goes through a sequence of successive decipherings. But 10 is a mandatory completion of numerical sequence since by repeating graphically Zero and One it makes them much closer to each other. Zero and One in that case are obviously familiar. They stand side by side and express a single number. Ten is one of the steps to return to the Origin, to gathering the divided. But this step is insufficient having in mind the strength of connectedness of Zero and One in ten. However, ten may well serve the Sefiroth system. Once appeared, ten brought a property of interposition, of relationship between components. And it is no coincidence Kabbalah’s Sefiroth system is decimal. Quantity 10 describes step by step deciphering of the Design. It expresses the idea of connectedness and correlation of the worlds both heavenly and earthly. Sefiroth Tree in graphical form presents Kabbalah’s Sefiroth system and as Kabbalah is the language of the universe, so the Sefiroth system is the language of Kabbalah. Word Sefirah can be translated as “numbering” or “radiance, visibility”. Every object provides ground to calculate ten manifestations or in other worlds any object shines with ten visibilities like a light placed in the center of the faceted lamp with ten differently colored glasses. Ten completing a numerical sequence allows, according to the law of similarity, to divide this sequence like whole is divided into two parts. But transitions in reasoning are never repeated. They use all the previous for the enrichment for the upcoming. Two fives constitute ten and on closer examination turn out to be a five and its mirroring and inverted reflection – two. That is, if you imagine the convergence of two fives, when they connect – they form a whole. Or from another angle it will be a five and a two. Let’s note that the geometry and graphic of image are an integral part of reasoning. Thus, we got five and it, being the middle of the numerical sequence, links two parts of the sequence. And we got the relations between the two fives, or relations of five and two in ten. The emergence of two signifies the next step in reasoning. It is two that came most closely to connectivity, to inseparability, to pairing. Two affected the entire numerical sequence, making connectivity the corner stone. Imagining an incredible, we say that we can grasp it all at a glance. Thus, within the limits of the binate count, we realize that 7-8 can not be viewed separately. Moreover, 5 and 6 also aspire to inseparability. (Let’s note in passing that in the conditions of binate count (counting by pairs) nine is not involved by inherent to nine reasons). Togetherness of 78 and 56 in condition of the binate count proposed by two is validated. It is derived from a long arithmetic reasoning, which we incredibly compressed out of mercy to the audience. Ten contains arithmetic substantiation of humanitarian idea of “return of the prodigal son”, of closing a loop of cognition. 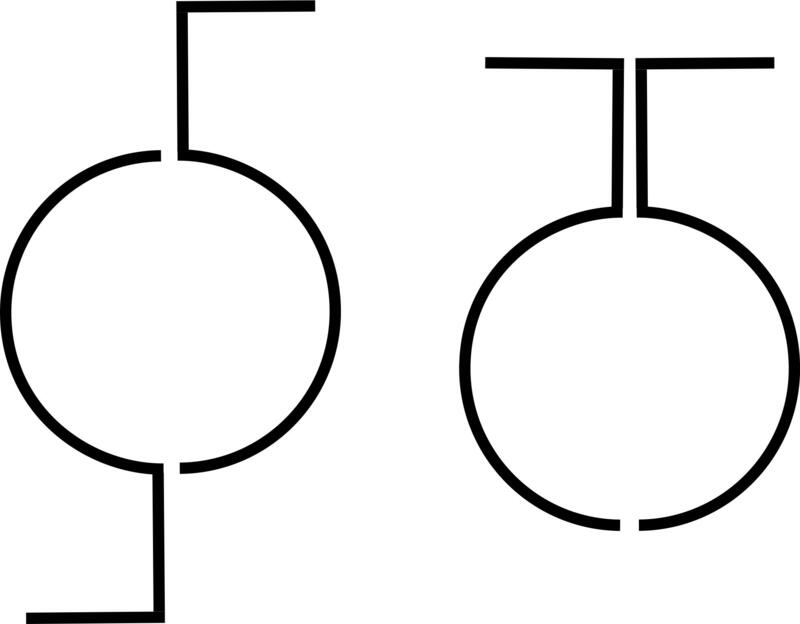 Connection of two initial symbols at the end of the numerical sequence on fundamentally different grounds gives birth to the idea of compression, i.e. describing this same whole by lesser quantity. That, indeed, is a return, a curtailment. But, as we already know, the reasoning does not stand for repetitions and numerical sequence being compressed acquires another expression. 0 and 1 as well as 10 get out of consideration due to the repetition of their constituent symbols. The remaining characters of the numerical sequence due to the presence of two are “investigated” for compliance with the idea of pairing, i.e. to the idea of connectedness stronger than two symbols in ten. It turns out that this idea is satisfied only by 2, 4, and 8 as they have pairing as a foundation. Compressing the reasoning once again we can come to a conclusion. By looking through a numerical sequence we can see that in one and same place there is a direct count by units (1, 3, 4, etc), that have the manifested left and right parts refracted by five, and a binate count – 2, 4, 8. In addition, arithmetic reasoning never loses a category once it appeared. Glancing at the resulting numerical sequence, it turns out that ten that have left the sequence can be discovered in a binate count, even though the sequence ends in Eight. Now 10 as interference of single numbers is “absorbed” into a binate count. Interposition becomes an “internal” matter for the whole which balances inside itself ways of connection. 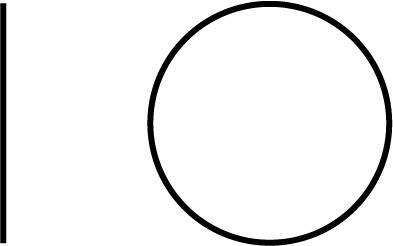 That is – ten as a principle can be executed by different figures standing side by side. The whole “decides” what are these figures, since whole builds its parts. 78 performs ten which means capacity in condition of binate count. Thus, it is not difficult to see the basic principles of ten in a place 78. Thus it almost answers the question why Tarot deck is described by 78. And further, 5 and 6 in 56 are also interconnected and capacitated, so that 56 is arranged according to the decimal principles. But these decimal principals, due to the remoteness of 56 from ten in the numerical sequence, are less discernible. Relations between 78 and 56 inevitably give birth to 22. But does 22 appear only due to these relationship? 22 is an ultimate last analogy of ten. 22 starts a numerical sequence in a condition of a binate count. It is farthest from ten. Nonetheless, 22 have interposition and capacity. But why put two identical numbers next each other? Here the decimal idea of interposition fulfills its purpose completely and another idea arises – the idea of reflection. It is a wonderful and mysterious idea of transition of sense, of a new step. Let’s note in passing one more law of reasoning: a new category emerges in a place where the previous category is maximally weak. The two twos are “looking” at each other, reflecting each other as if in a mirror. The idea of ​​reflection is not inherent to the world of numbers. But coming to a place where ten is maximally weak, it originates a huge field – the grammar. 22 is a place where letters appear as a category. Two twos looking at each other is a source of a left and a right side writing. And, accordingly, it is a source of two different alphabet systems. Two twos have determined the number of letters in the Hebrew alphabet. 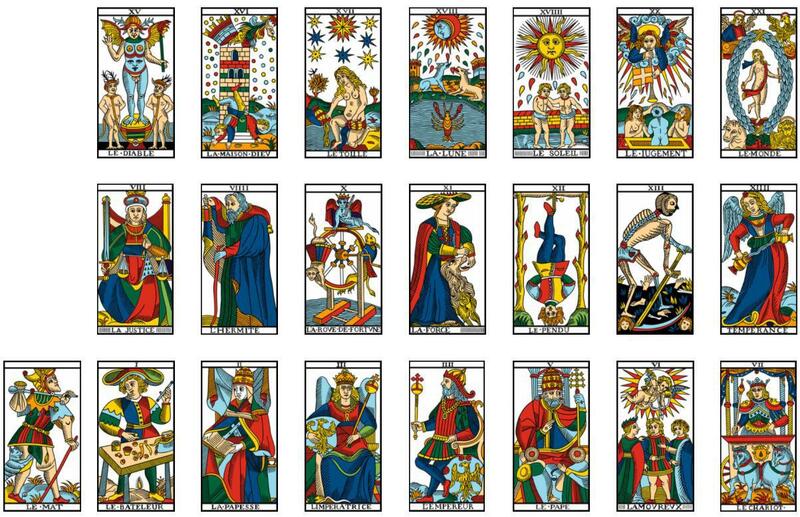 Each of the twenty-two major arcana are characterized by its own letter. The appearance of letters in the area 22 is no coincidence having in mind the knowledge about the paths of man that is expressed in major arcanos. Language, speech is the only thing that distinguishes man as a phenomenon from everything else. The issue of mastering language inevitably is raised for one on the path. Physiological ability, given to us at birth, does not guarantee language acquisition. Although, thanks God, the attempts to master speech do not stop. Difficulties along this path stem from content of category 22. Two “obliges” the letter to the maximum connectivity that is derived from pairing. Organizing the space of speech, man ties in it the dense and the subtle, high and low, left and right, inner and outer, living and dead, and even – a man and a woman. Connectivity makes speech a means of communication, a means of formal expression and organization of semantic fields. Placement of human in such fields can be pictured as cohesion of even light of reason and bright illumination of intuition. Such a happy combination is perhaps the most important demand of Kabbalah to its admirers. However, even such elusive connection becomes a brick in the pyramid of cognition, only when it is expressed by a word. Here we come very close to the relation of number and letter. We have derived this relationship from a place of maximum tension of arithmetic reasoning, i.e. the emergence of the idea of pair. It is a maximal tension, because the ideas of ​​numerical sequence, the arithmetic ideas have at its base 0 and 1 who are completely different and are extremely separated. The emergence of coherence violates basic principles of arithmetic but creates the letter as a new category. The road which we have used is not the only one. This direction was dictated solely out of respect to Kabbalah. At the same time we remember that the idea of ​​reflection occurred with the division of ten, which being similar to whole was divided to two fives or to a five and its mirror inverted reflection – two. This place in reasoning allows us to derive the idea of ​ letter based on principles similar to the two twos but not identical to them. Accordingly, the relation of number and letter originating of this place acquires other meanings. Otherwise, no time will be not enough. The Tarot cards : a book which pages can be put in different orders to tell different stories of human beings. How many “stories” could we read with the combination of the 22 Major cards ? And with 78 ? Just think of it.